John Passant analyses the complex machinations behind Apple's tax avoidance process and how this affects Australia, where Apple's tax contribution is about one per cent. FOR MULTINATIONALS like Apple, all the world’s a stage. Their grand machinations move billions and billions around the globe to avoid tax. Apple is – or at least, was until recently – particularly good at shifting profits to low or no tax jurisdictions. Apple Inc U.S. has subsidiaries and related companies around the globe, including Ireland, The Netherlands, China, Singapore and Australia. The model they adopt is common enough. I have simplified it somewhat to ensure I don’t bamboozle readers who are not tax people. Manufacturing of the Apple products occurs in China. The finished products are then sold to Apple U.S. for sale into the North American market and to one of the Apple shell companies in Ireland, for on-sale to related companies in Europe and Asia, who then sell them into those markets. So the Apple companies – in places like Australia – have to pay large amounts of money to a related Apple Ireland company for these economic rights, often enough to wipe out the profit they make in Australia and elsewhere. These types of arrangements are known as "profit shifting" because the large payments by Apple in Australia to an Apple Ireland company for economic intellectual property rights essentially shift profits from Australia, where there the company tax rate is 30%, to Ireland, where the company tax rate is 12.5%. But wait, there’s more. Until recently, differences between company residence definitions in the U.S. and Ireland meant the Irish companies were resident of neither country. So it isn’t taxed in the U.S. and, as Antony Ting tells us, ‘its foreign source income is tax free’ in Ireland. Further, because of what is now a deliberate design fault in U.S. tax law, the Irish income is not attributed to U.S. Apple and hence not taxed in its hands until it is repatriated to the U.S. Instead of being repatriated to the U.S., the money is often shifted through arrangements like "Double Irish Dutch Sandwiches" from one Irish company through The Netherlands and back to another Irish company — all tax free in on the way to a tax haven. The tax free status of this particular arrangement ended in 2015 but, of course, our story does not end there. So, the Commission declared the tax rulings to be illegal state aid under EC rules. Apple, of course, will fight the decision. So, too, will the Irish Government because it wants to keep its backdoor – until now, hidden – special deals tax haven status in the mistaken belief this benefits the economy and creates jobs. Apple in Ireland has relatively few employees. Apple in Australia has shifted large amounts of its profits to Ireland. The EC ruling if successful will change that, but it looks like Apple has already taken steps in anticipation of Ireland’s 25-year tax holiday ending. Since 2010, Apple in Australia has, according to Chenoweth, been shifting its profits to Singapore. Why Singapore? Well, unlike Ireland, it is not part of the European Union. This means it can do tax deals like Ireland did, without fear that the EC will declare them illegal state aid. Does Singapore do that? Yes. Apple South Asia’s 2011 accounts note that on March 24, 2010, the company was granted a 10-year development and expansion incentive under which income would be taxed at 5 per cent instead of 17 per cent. This was then renegotiated even further, with Apple to be taxed “at various concessionary rates." 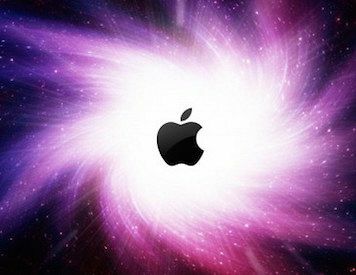 The Australian Tax Office (ATO) is auditing Apple for the 2012 year. Australia has legislation to try and catch multinational transfer pricing. Apple used to have an advanced pricing agreement with the ATO whereby it looks as if the ATO may have given certainty (that is, tax office agreement) to Apple’s pricing arrangements and hence, profit shifting to Ireland. Was the Australian Tax Office echoing its Irish counterparts in giving agreement to arrangements similar to those the Irish okayed and the EC found to be illegal state aid? In 2015, the ATO did not renew that Advanced Pricing Agreements (APA) agreement with Apple. Commissioner of Taxation Chris Jordan is a former partner in tax avoidance adviser, KPMG. He has sacked more than 3,000 experienced staff with another 1,500 to come. Gutting the ATO raises questions about the ATO’s capacity to address tax avoidance by big business. Treasurer Scott Morrison has recently admitted Australia has an "earnings problem". Part of that earnings problem is because Australia is soft administratively and legislatively on addressing tax avoidance. For example, the Turnbull Government’s recent much vaunted diverted profits tax will raise just $100 million in 2018. Another $3.7 billion will come from an ATO task force, including employing more staff. Surprise, surprise. More tax office staff equals more revenue. According to Second Commissioner of Taxation Neil Olesen, every dollar spent on tax officers yields an extra $6 in revenue. The Commissioner’s company tax transparency report shows that 676 (36%) of big businesses pay no income tax. That untaxed amount is $454 billion — and that is before we even look at the low taxed companies. Some of this untaxed and low taxed income is due to artificial tax avoidance, or even worse, legislated tax avoidance opportunities in the income tax Acts. Some of it is due to the cuts in the ATO. Some of it is due to market conditions. One simple solution would be a small tax on that gross untaxed income – say 3% – which would yield $13 billion a year. Another would be to employ – oh, I don’t know – an extra 4,500 tax office staff to enforce tax laws on big business. Every dollar spent on tax employees yields an extra $6 in revenue. A Commissioner who sacks thousands of his staff is an obstacle to doing that. We could replace the current Commissioner of Taxation with someone committed to ensuring big business pay more tax. Under both Labor and Liberal governments – the current Commissioner was a Labor appointment – this is not going to happen. It is all about priorities. Instead of cutting pensions and the dole, we could get more tax out of big business. Fixing current laws, imposing a tax on gross revenue, tightening up other tax concessions for big business and the rich – tax avoidance schemes like superannuation, capital gains and negative gearing – employing more staff and imposing a small gross revenue tax on untaxed and low tax companies together with a net wealth tax on the super wealthy, would wipe out the budget deficit. This could then fund meaningful increases in social spending on the poor, on health and on education.